Not only was she the mother of a nation but she was also a mother to two beautiful women. 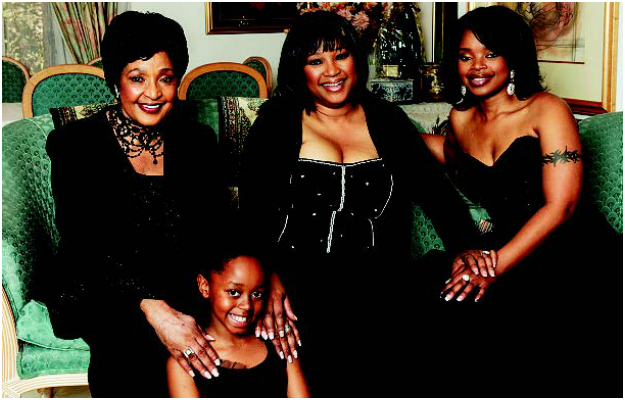 In August 2007, DRUM was in for a treat when we joined Winnie Madikizela-Mandela, her daughter, granddaughter and great-granddaughter for an unforgettable day at her home. Mama Winnie invited us to her double-storey home in Orlando West, Soweto, on a Sunday – a family day when as many members of the clan as possible got together to share food, news and gossip. 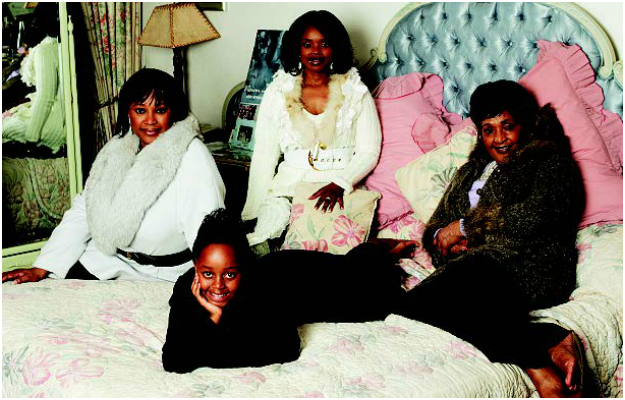 For the occasion four generations of Mandelas joined: Winnie’s daughter Zindzi (then 47), her granddaughter Zoleka (then 27) and her great-granddaughter Zenani (10 at the time), who tragically died in a car crash in 2010. It’s clear the former first lady loved gardening – bordering the pavement outside the high white wall was what she called her Garden of Hope, a colourful array of flowering beds she and Zenani created out of barren, stony soil. Zenani was Mam’Winnie’s daughter Zindzi’s grandchild. As the ladies prepared for our photoshoot we had a look around the house. Each room was filled with plants and boasted its own colour scheme – for instance, there were two lounges, one with green sofas and one decorated mainly in red. The place was crammed with memorabilia, awards, gifts, paintings and photographs from Mam’Winnie’s colourful life. But why, we had to ask, do so many names in the Mandela family start with the letter Z? “The only plan Madiba and I had for our children was that all the family members would have names that began with Z,” Mama Winnie explained. But there were plenty of turbulent times for Madiba and Mam’Winnie before their children could celebrate a new beginning in apartheid-free South Africa. 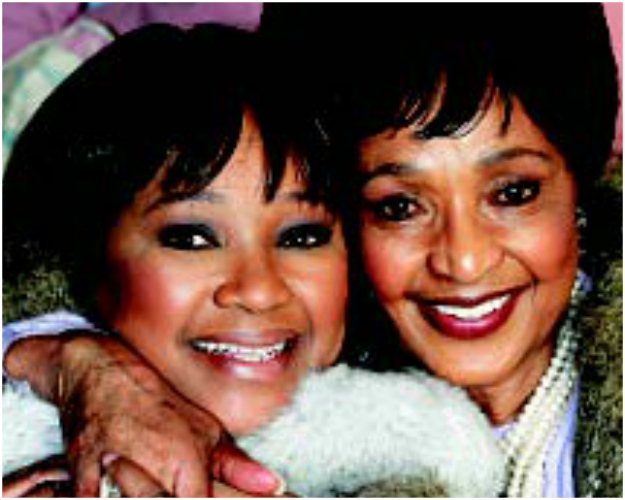 Her mother always had “amazing strength” and played the role of both parents when Madiba was away. “I learnt the true power of a woman and how she can be a fighter and a nurturer at the same time. This is what I’ve tried to pass on to my children,” Zindzi said.